Lower fees are starting 1st December 2018! 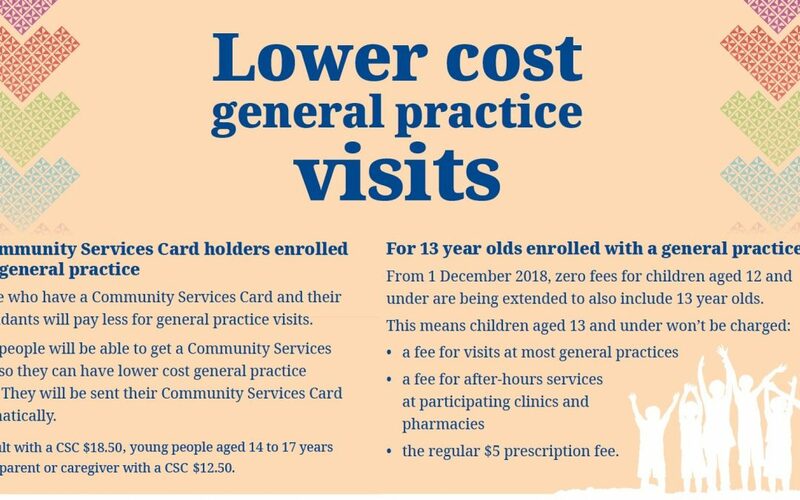 Glenfield Medical Centre has signed up to be the first wave of medical practices to introduce lower GP fees for community services card holders & free age 13 and under. If have a community services card, your doctor’s fee will be reduced to $18.50. If you are aged 14 to 17 and your parent or caregiver has a community services card, your doctor’s fee will be reduced to $12.50. All patients age 13 and under are now free (previously free under 13). See our Fees & Enrolment page. More information on community services card and how to get one, see Work and Income. Measles on the rise, book your free MMR vaccine!